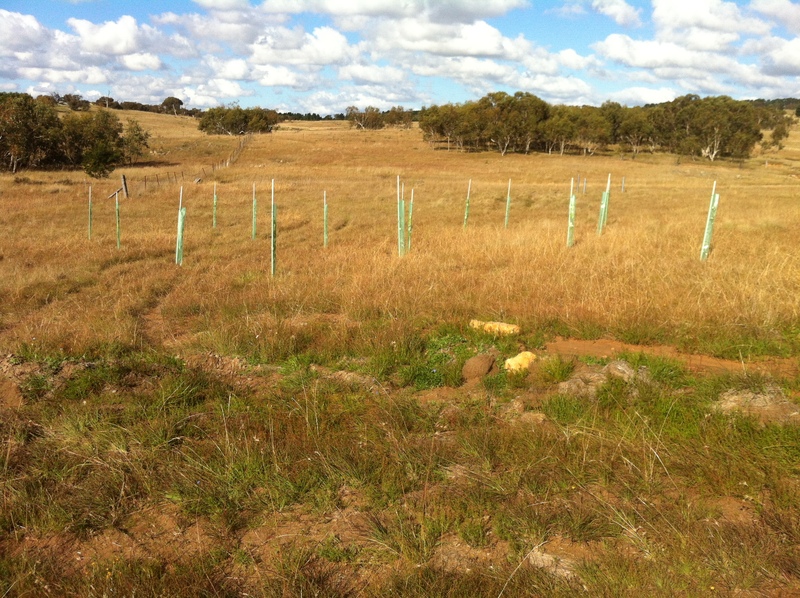 Well on Monday Stevo and I planted the first of the trees in our forest. This turned out to be quite a quick job. What took the rest of the day was getting the trailer un-bogged. Very nearly got the Land Rover stuck again but thank god for diff locks. We planted a mix of London Plain trees and Cottonwood Poplars randomly. They have been planted in vine tubes (for grapes) with 25mm conduit stakes.The idea is the tight vine tube makes the tree think it is in a forest and grow straight up as well as providing a nice microclimate. The conduit provides flexible support so the tree is not firmly supported and still puts down strong roots but again grows straight. Also the garlic is starting to come up, only the Italian Purple so far, but the Italian White can’t be far behind. 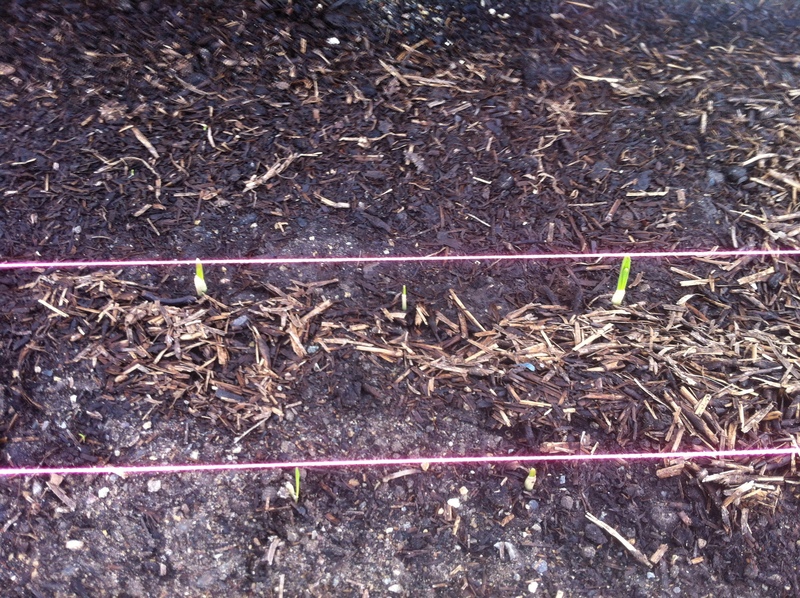 This entry was posted in Grow and tagged Garlic. Bookmark the permalink.